The final step in the production of digital movie content for digital cinema is the creation of the DCP (Digital Cinema Package). 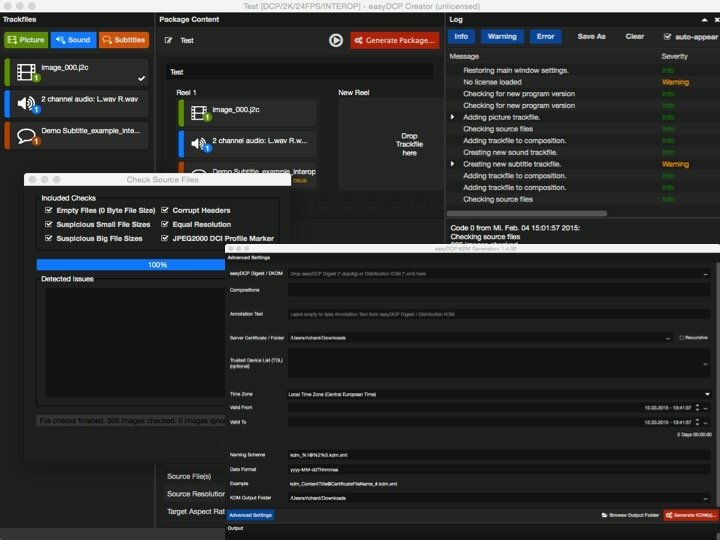 easyDCP Creator is a solution that enables small and medium-sized production companies as well as postproduction houses to create a SMPTE or Interop compatible DCP for playback in the cinema in a few simple steps. 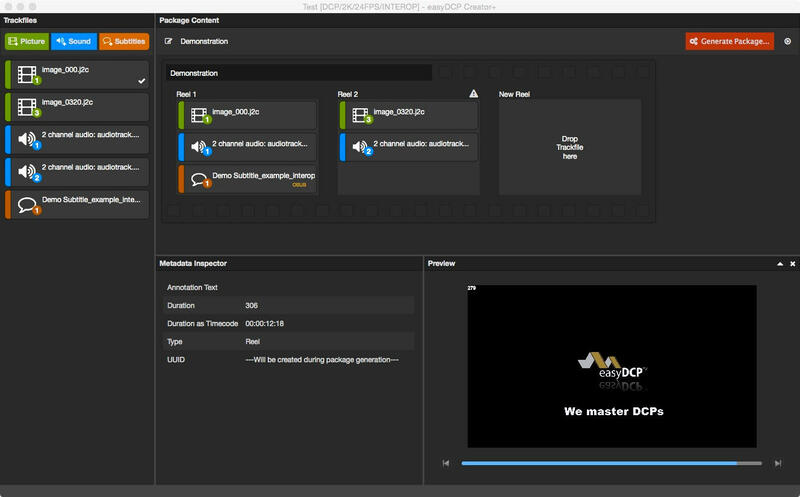 easyDCP Creator can be used on standard PCs and MACs. 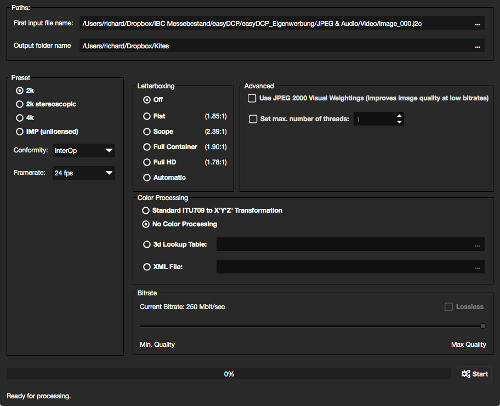 easyDCP Creator+ is also cost effective available in easyDCP Bundle! The Standalone Transcoder allows for a DCI compliant JPEG 2000 encoding.